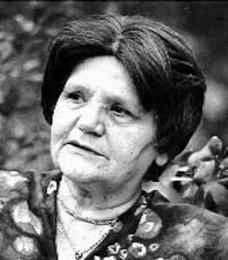 Zelda (Shneurson Mishkowsky) (1916-1984) was born in Chernigoff, the Ukraine to a famous Hassidic family. His father was a rabbi and her mother, devoutly Orthodox, was also well-read in modern Hebrew, Russian, and European literature. They immigrated to Jerusalem in 1926. She studied at a religious school for girls and then at a teacher`s seminary. She then studied art and painting in Tel Aviv and later moved to Haifa, where she worked with handicapped children. When her husband died, she returned to Jerusalem and worked as a teacher; she retired after almost 50 years. Known simply as Zelda, she began composing poetry as a teenager but began publishing only in 1968. She published six books of poetry during her lifetime. She was awarded the Bialik Prize. A complete collection of her work was published posthumously. Acclaimed for her directness, precision and simplicity, and well-loved by the predominantly secular Israeli readership, Zelda`s memory and symbolism are steeped in traditional and Hassidic allusions.